The Honor Magic presents itself as an initiator in design and operation. The smartphone gives us a good view, which we expect 2017 from top smartphones like the Huawei P10 or the Galaxy S8. Just before Christmas, Honor 2016 presented the Honor Magic a new top smartphone for the Chinese market. Honor is taking a new approach in terms of design and operation and is setting trends which some manufacturers could follow in 2017. Not least the parent company Huawei at its new top model Huawei P10. What makes the Honor Magic so special? There would be the design. If you take a look at the previous Honor and Huawei models, two design elements predominate metal as a material and a fingerprint scanner on the back. In addition, the devices have a rather angular design language. The Honor Magic breaks with this tradition. Here only the frame is made of metal, the rest of the case is made of glass. Corners and edges are rounded. This also applies to the display edges. These extend to the frame – similar to the Galaxy S7 Edge. However, Honor is still further developing the edge display of the South Korean manufacturer. While with Samsung only the display edges on the left and right are rounded, the Honor Magic is additionally the top edge arched. Headphone jack, USB C-port, loudspeaker and SIM-slot were laid to the bottom of the unit. By the way, not only the display glass is bent accordingly, the back of the Honor Magic is also designed in triple-edge design. The Triple-Edge design makes the Honor Magic look rather stylish and thinner than the stated 7.6 millimeters but unfortunately, does not result in a better screen-to-case ratio. A Xiaomi Mi Mix is not the Honor Magic. 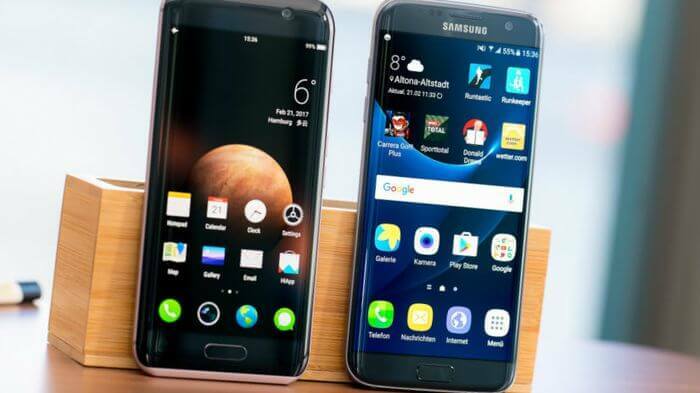 Only 69.9 percent of the front of the smartphone is covered by the display, the Galaxy S7 Edge is 76.1 percent. Apart from that, there is little to complain about design and workmanship. Honor has got two problems of glass smartphones with the Magic quite well under the handle. The Edge design improves grip, so the Magic does not slip easily out of the hand. On the glass back, as with other models, fingerprints quickly collect. Due to the matte surface, however, these do not fall as hard as the HTC U Ultra, which is polished to the high gloss. Glass instead of metal, rounded corners, and edges – as if these were not enough innovations, Honor also places the fingerprint scanner from the back on the front. Here he finds as in Samsung place in a home button. According to the Huawei P10, the first pictures on the Internet will be shown. But the pusher can unlock much more than your smartphone or call the start screen. The button is the central control element. There are no other buttons for “Back” or “Multitasking”, either as virtual buttons or as sensor buttons next to the Home button. Instead, her strokes gesture on the Home button to perform these functions. This was for us old Android share in the test very habituating; iOS users should not have any adjustment difficulties. Because absolutely necessary the two other Android keys are not. This is because Honor has heavily modified the Android 6.0 Marshmallow pre-installed on the Honor Magic. It is similar in appearance and functionality to Apple’s iOS. So you call the Quick Settings no longer with a wip from the top screen edge, but via a control center, which opens with a finger wip from the bottom of the screen. The user interface is not the emotion UI (EMUI) already known from Honor 8, but a new system called “Honor Magic Live”. What distinguishes Honor Magic Live from the EMUI? “Artificial Intelligence” is the keyword here. The Honor Magic analyzes your user behavior and is intended to provide you with information or to provide quick access to needed apps. For example, in a meeting, you can see shortcuts about the voice recorder, the app or the camera. Furthermore, cinema and concert tickets, as well as flight and train tickets, are to be collected in one app. The Magic also reminds you of the time of upcoming events or travels. It should even help you plan. For this, you have to give the smartphone access to various data like your contacts. If you do not want to, you can disable selected Magic features or all in the settings. These features are similar to what users already know from Google Now (on Tap) or Apple’s Passbook. Unfortunately they currently only work in China and not here. However, the Honor Magic has other “magical” features. So you can scan your face. The Honor Magic recognizes you as an “owner” and only shows you details on incoming notifications on the screen. When someone else looks at the screen, he sees only the message “A new SMS”, but not sender and content. Clever! The face detection worked well in the test. We will see such smart features in 2017 in several smartphones. 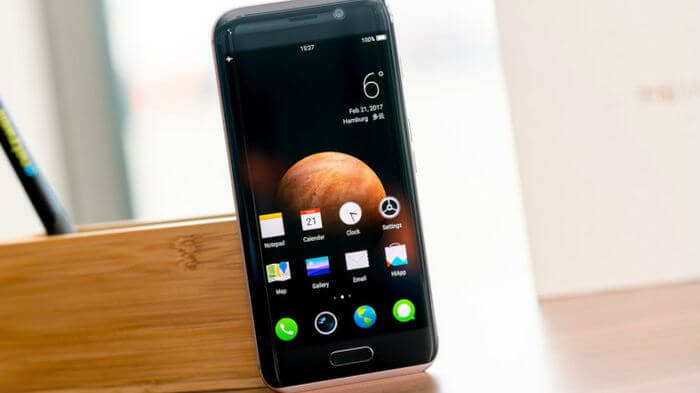 HTC has recently announced that the models HTC U Ultra and HTC U Play equipped with a corresponding artificial intelligence called Sense Companion. With the Galaxy S8, a new assistant named Bixby is supposed to have a central function. What does the Honor Magic offer apart from these assistance features? The highlight from a technical point of view is the screen. Honor is the first AMOLED display. The screen measures 5.1 inches in the diagonal and resolves with 2.560 x 1.440 pixels (2K). This results in a pixel density of 577 pixels per inch (ppi). The display is thus razor sharp, more offers only the Sony Xperia Z5 Premium. The Octa-core chip Kirin 950, which is manufactured by the Huawei subsidiary HiSilicon, acts as a processor. It is also used in the Huawei Mate 8 as well as in the Honor 8 and provides sufficient computing power also for current mobile games. Thanks to four gigabytes of memory, intensive multi-tasking for the Honor Magic is not a problem either. For user data, the Honor Magic offers 64 gigabytes of device memory. However, this can not be extended. For this, the Honor Magic can be operated with two nano-SIM cards (Dual SIM). Unfortunately, the language quality is only moderate. It moves at the level of 150-euro smartphones. Although background noise is effectively filtered, the voice of the conversation partner blurs in a dull sound. The Honor Magic comes from a permanently installed battery. This has a capacity of 2,900mAh. A battery charge should also get you through the day with intensive use. 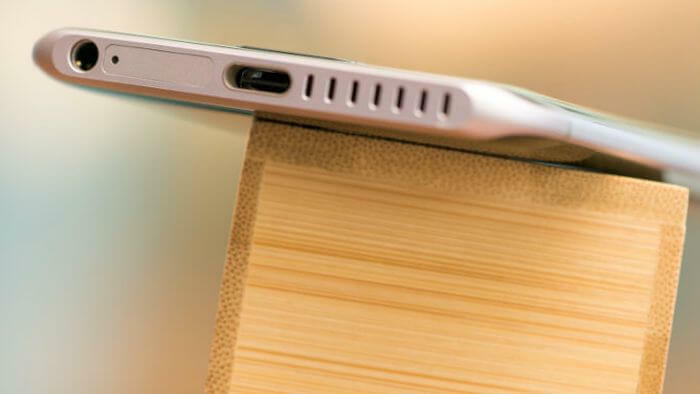 In addition, the Honor Magic can be loaded from zero to 100 percent in less than two hours thanks to Quick Charge technology. 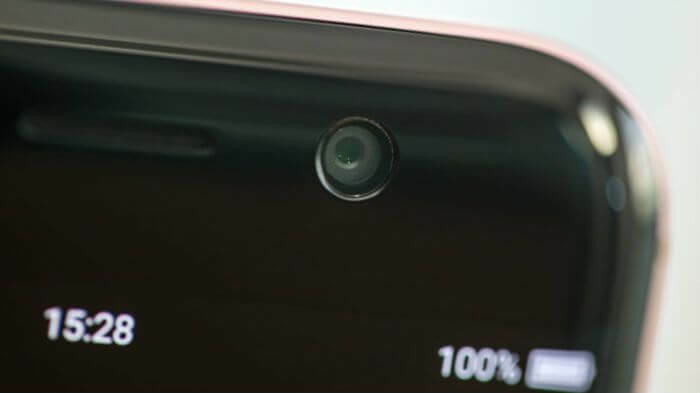 For photos and videos is a twelve-megapixel camera on the back ready, the front camera shoots selfies with a maximum of eight megapixels. Videos you record with both cameras in Full HD. 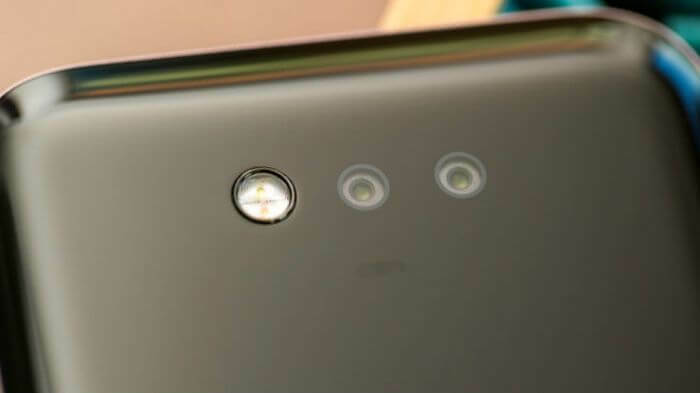 The picture quality and functionality of the dual camera is similar to that of the Honor 8. So you can move afterward in pictures the focus. We will demonstrate this function on the Honor 8 in the following video. The Honor Magic is now available – but only in China. Here it is sold for converted 478 euros. Anyone interested in the device can import it from the Far East. But is this worthwhile? From a technical point of view, little is said about importing Honor Magic. According to the data sheet, the smartphone supports all LTE frequencies relevant to Germany. Against an import speaks, however, the weak localization. Although English was the language to choose from on our test machine, we did not have a German language variant. And even if you translate the system language into English, you are often greeted by pop-up messages or menus with Chinese characters. You also have to forgo access to Google Play. Experienced users can retrofit the store manually, but this is an expense. An import is also not cheap. Dealers like eBay or GearBest are calling for £ 700 and more for Honor Magic. A bargain like the Xiaomi Redmi 3 is not the Honor Magic. The smart design, good hardware, and smart software make use of the computing power and sensor technology of the smartphone. The Honor Magic shows what we can expect from top smartphones 2017. Unfortunately, the import of the device is only conditionally due to the weak localization and the restricted magic features.